Balasingham, for the latter part of his life, would spend all his energy attempting to convince Prabhakaran that the ethnic conflict can only be solved under a united Sri Lanka. A separate state was not viable. LTTE leaders like Nadesan and Tamilselvan were all junior both in age and experience to Prabhakaran and did not express any form of independent political thinking that deviated from the LTTE-status quo as it pertains to how to solve the ethnic conflict. Aside from Prabhakaran, Balasingham was the only individual in the LTTE who could express independent political thinking. Balasingham was one of the only, if not the only Tamil, who had the unique power to criticize Prabhakaran directly to his face and have dissenting views from Prabhakaran, without facing deadly consequences. Prabhakaran regarded Balasingham as an elder brother, even though they had bitter disagreements, they bought loved each other. When Balasingham required critical medical attention in 1999, it was Prabhakaran who organized Balasingham’s journey to Thailand to seek treatment. Balasingham It is largely owing to Balasingham’s efforts that Prabhakaran even agreed to peace talks. Balasingham, before having joined the LTTE, lived abroad for several years, sharpened his education with a master’s degree studying philosophy and politics at a university in London, and was a formally disciplined pragmatic their. Prabhakaran, in Balasingham’s own words, was “a warlord who has no real interest in political concepts.” Prabhakaran was a man who had virtually zero understanding of the political consequences to his actions. It would be Prabhakaran’s lack of political understanding that would seal the LTTE’s fate. This was obvious in many instances. The most obvious case was Prabhakaran’s political decision to assassinate Rajiv Gandhi. The least talked about the case within the Tamil diaspora is how Prabhakaran, by boycotting the 2005 Presidential elections, was responsible for getting Mahinda Rajapaksa elected. Prabhakaran wanted to re-energize support for the separatist movement. Prabhakaran thought that by electing a Sinhala-Buddhist hardliner like Rajapaksa, he would get more sympathy for his separatist cause from the international community. This was, like most of Prabhakaran’s political decisions, a stupid one. This was a stupid decision because Ranil Wickremesinghe, Rajapaksa’s opponent in the 2005 Presidential elections, throughout the Norway-backed peace process, was viewed more favorably by the LTTE delegation (including Anton Balasingham) in comparison to Chandrika Kumaratunga. Wickremesinghe was far more open to the political aspirations of the LTTE, even announcing his intention to setup an interim administration for the Northeast in which all political parties represented in the region would have a place—providing a clear nod to the longstanding Tamil demand. In an unprecedented act, the LTTE delegation comprehensively drafted out their demands in an interim self-governing authority proposal (ISGA). 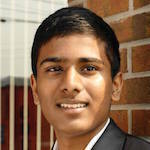 Balasingham voiced disappointment at the fact that he was largely excluded throughout the ISGA drafting process. According to Solheim, Balasingham regarded the proposals as being too maximalist. Balasingham believed it would weaken Wickremesinghe’s position in the South. However, Chandrika had taken control over the peace process from Wickremesinghe, and she dismissed the ISGA proposals. I believe an underlying reason for Chandrika having dismissed the ISGA proposals was because there was no longer any senior Tamil politician within Chandrika’s ranks to convince her of the necessity to negotiate with the LTTE’s ISGA proposal. However, in the mid to late 1990s, Neelan Tiruchelvam (an internationally renowned constitutional lawyer) was one of Chandrika’s senior political advisors. Tiruchelvam, a man who constantly advocated engaging in negotiations with the LTTE, would have insisted that Chandrika consider the ISGA proposals. However, by killing Tiruchelvam, there was effectively no one willing to convince Chandrika of the necessity to negotiate with the LTTE’s proposals. 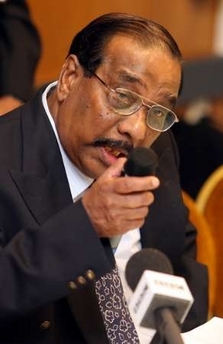 In March of 2003, in a speech Balasingham gave at the opening of an LTTE bank, it was clear that he regretted Prabhakaran’s killing of Neelan Tiruchelvam, citing the missed opportunity for the LTTE to negotiate the GL-Neelan package in its original form. Balasingham, in a conversation with DBS Jeyaraj, attributed his exclusion from the peace process to the fact that other senior LTTE leaders like Thamilselvan, Castro, Pottu Ammaan and Ruthirakumaran prejudiced Prabhakaran’s mind against him after the Oslo talks between Wickremesinghe and the LTTE. The other senior leaders, according to Balasingham, foolishly influenced Prabhakaran into thinking that the world would back the LTTE if Rajapaksa was in power. On numerous instances, Balasingham stated that the LTTE does not operate on the concept of a separate state but that of a homeland and self-determination. And a homeland, Balasingham argued, does not mean a separate state but a territory where Tamil-speaking people live. Balasingham always knew that it would be impossible for Tamils to gain a separate state—however, he was never able to make Prabhakaran fully understand this reality. However, despite Prabhakaran’s narrow political thinking, it would be incorrect to say that Prabhakaran is solely to blame for the violent end to the war. The constant party rivalry between the SLFP and the UNP significantly contributed to the breakdown of the peace process. For example, peace in Northern Ireland is a key example of how both the Conservative Party and the Labor Party in the UK formed a consensus to peacefully end the war. Subsequently, a peace agreement was reached with the IRA. In 2016, Colombia was able to end a 52-year war with the FARC rebel group because the key political leaders came to the consensus that the war was taking a dangerous toll on the people of Colombia. This level of bipartisanship did not happen between the SLFP and the UNP.